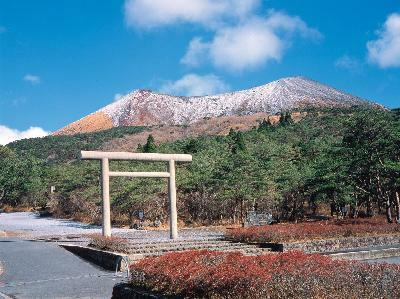 Takachiho-gawara in the Kirishima mountain range (Kirishima City, Kagoshima Prefecture) is where Kirishima Jungu Shrine used to be located. It was originally built between Mt. Takachiho-no-mine and Mt. Ohachi but was destroyed by a volcanic eruption about 1,400 years ago and rebuilt at this place. However, it was again burnt down by the second eruption about 1,000 years ago and relocated to the town at the foot of the mountain. Presently only the remains have been preserved. The Manai Waterfall in Takachiho Town, Miyazaki Prefecture, is an impressive waterfall, that flows down the 17-meter perpendicular cliff made of columnar basalt in Takachiho Gorge.It is selected as one of Japan’s 100 Fine Waterfalls. Takachiho is a small mountain town situated in the center of Kyushu, in northern Miyazaki is one of the most sacred places in Japan. According to Japanese mythology, Takachiho is the land where Ninigi descended from the heavens, sent by Amaterasu, the sun goddess. Takachiho Takachiho-jinja Shrine, Kunimi-ga-oka Hill, and Amano-iwato-jinja Shrine are all pilgrimage “power spots” associated with the myths and legends of the founding of the nation. 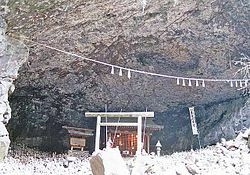 .. especially the Ama-no-Iwato shrine which is, according to myth, the location of the cave where Amaterasu hid until Ame-no-Uzume lured her out. At Takachiho-jinja Shrine, the Yokagura Dance, which is traditional sacred music and dancing dedicated to the god, has been handed down from generation to generation in this district. 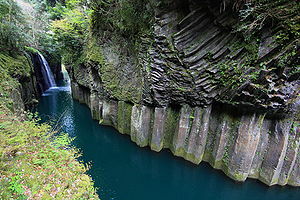 Takachiho gorge and Manai waterfall is at the heart of the Himuka Myth Road which extends throughout Miyazaki. 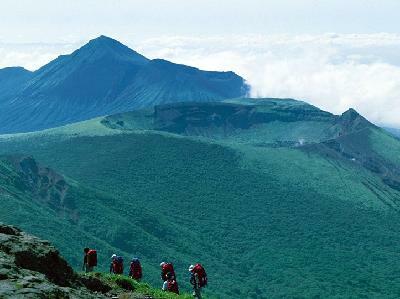 Watch a videoclip on Youtube of Takachiho, in Miyazaki. 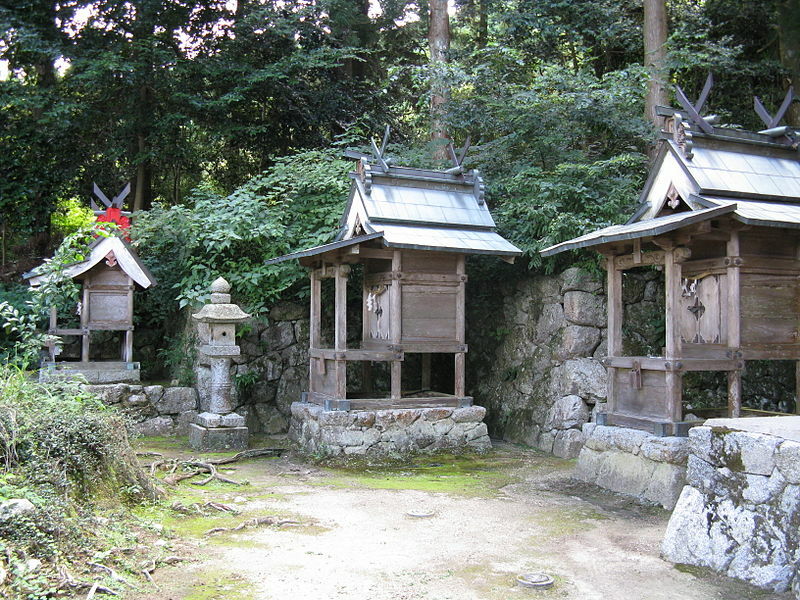 Takamahiko Shrine is located on the hillside of Mt Kongo of Gose in Nara Prefecture. It enshrines the deity Takamisubi no Mikoto (also called Takamahiko no Kami), which is known as the ancient god of the Katsuragi clan. Beside the pathway to the shrine, there are many gigantic cedars that give the atmosphere of old Japan. One of the trees along the pathway is named Oshukubai Tree after a story about a priest. The priest was grieving over the death of a young child, when a falconine flew onto the tree and sang a song for the priest. In spring the tree bursts into beautiful bloom. Mt. 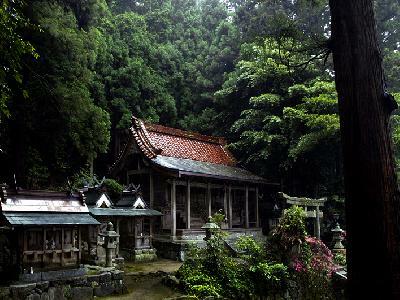 Kirishima is the land of Japanese mythology concerning its creation. “Amano Sakahoko,” the three teeth fork-shaped weapon is staked upside down at the top of Mt. Takachiho-no-mine, which is believed to be where the Heavenly Descendant Ninigi no Mikoto descended from Takamagahara Field (Heavenly Hill Field).